After the Super Grand Prize comes the Grand Prize! This is a new option this year provided by Heritage Quilts & Fabric Shoppe. 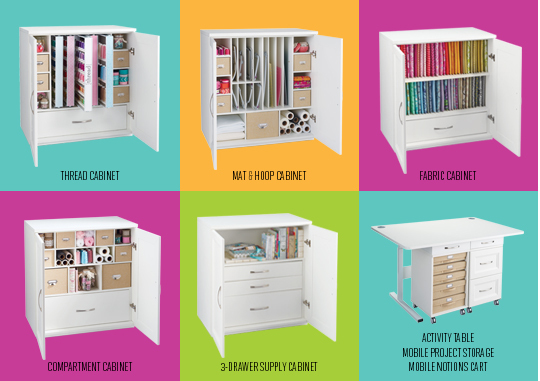 The winner will be able to choose from these options of sewing furniture, and who doesn’t need a little extra space to hoard store fabric, right?! Shop hoppers who visit all 12 shops will be eligible to win the Grand Prize. Check back tomorrow for our final addition to the prize offerings this year!